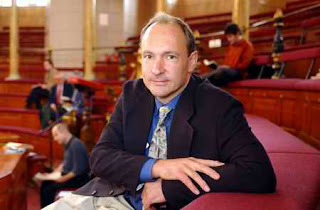 Tim Berners-Lee, the man who effectively invented the internet, made a tongue-in-cheek apology for the forward slashes at the beginning of internet addresses. The forward slashes have long been an annoyance to web users and Tim finally confessed that the // in a web address is actually "unnecessary". The Times newspaper was told in an interview that in hindsight internet URLs could have also worked without the forward slashes. "There you go, it seemed like a good idea at the time," he said.